In addition, our highly trained sleep consultants can help families of newborns manage soothing issues, crying, schedules, sleep associations, and coordinating sleep and feeding times. Our sleep consultation packages are perfect for helping you feel confident in your sweet girl’s sleep, and we’ll work with you to provide a path forward too. I hope this information helps, and good luck! If you do continue to have trouble, please get in touch with your pediatrician. Although many healthy babies are fussy at this age, sometimes it can be due to a treatable medical condition like an ear infection, colic, or GERD, and we always recommend ruling those out before anything else. Hello. My daughter will be two months old tomorrow. She will not take naps at all unless being held amd bounced. I try to lay her down for naps but she will resist sleep all day and then I have a screaming baby. I spend my days bouncing her so she can sleep. How do I get my baby to take naps in her crib? She sleeps in the crib better at night but not during the day. If things do not smooth out, we do offer a few more in-depth solutions for parents who need more help. Our e-book, Essential Keys to Your Newborn’s Sleep, may be a good option for you. In it, we give you a complete toolkit to help your baby establish healthy sleep habits today and throughout the first year. In addition, our highly trained sleep consultants can help families of young infants to manage soothing issues, crying, schedules, sleep associations, and coordinating sleep and feeding times. Our sleep consultation packages are perfect for helping you feel confident in your newborn’s sleep, and we’ll work with you to provide a path forward for understanding when to switch from managing sleep to more formal sleep coaching too. Good luck Sierra and feel free to contact us with any questions! Hello, our baby is 7 weeks old, he is bottle fed. I started noticing that bathing him at night would wake him up instead of helping him so sleep so I switched atheathe around 9am and it seemed to work. He would stay awake for about 1 hr 1hr 20 min tops around 8 am which is when our days starts, nap every 2 hours feed and repeat and at night he would wake every 1 and 30 to feed but lately he is fussy and can’t nap during the day and by 5 pm he does not want to sleep anymore he is on and off sleeping until 9pm !!! He will take like 10 minute naps but for the most part he will try to stay up to 4hours!! And then around 9:30pm or 10:30 he will sleep and wake until 2 am to feed and again until 5 or 6 am and the cycle repeats, I would like to know if I need to tweak his sleep schedule or bathe him again in the evening to see if it will work?? I just want him on a normal routine thank you!! Hi – our 10 week old is doing pretty well during the night for the most part and usually takes a good first nap. Then as the day progresses, she fights sleep more and more. Second nap is very short and third nap only happens if we are holding her. Bedtime is really hard. We put her down between 6:30-7 and she usually wakes up crying immediately or within 10 minutes and then we have 1-3 more times rocking her, putting her down and hoping for the best. Sometimes this process takes 2-3 hours. She is our third and I don’t recall the others being like this at bedtime. She just fights it so much. Is this something we can do something to improve or will it just take her getting a little older? Keeping her up later won’t help – she is so tired by this time of night she seems strung out! And our other 2 kids are 3 and 5, so we need some consistency so that we can manage all of the bedtime routines!! I may take time to get into a rhythm, especially since I’m sure you’re working around your older children’s schedules during the day at times, so hang in there. If you can, keep a close eye on the clock and try not to let her stay away longer than 1.5 or 2 hours max (she may be tired earlier than that which would be okay too). 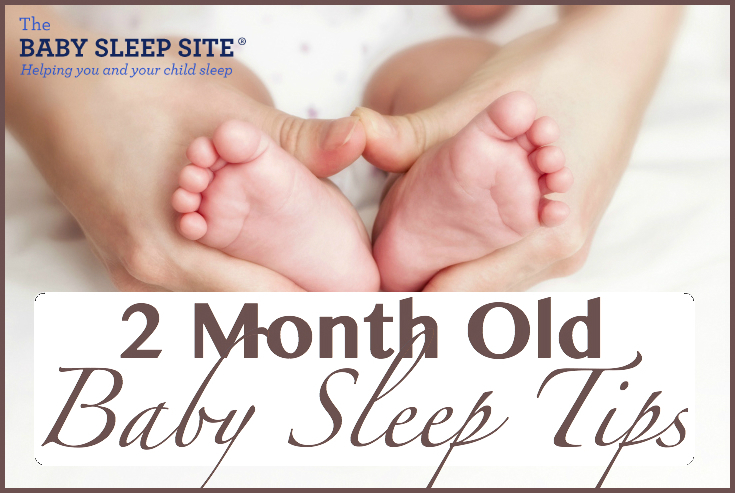 This may help prevent her from getting so overtired that she doesn’t fight bed time so hard. I hope this helps but please let us know if you need anything else! We are here to help. Does the wake time of 1 1/2 to 2 hours incorporate the time she is awake and feeding? For example, if she woke up at 10 am and starts eating at 10:15 am, you’re saying she should be asleep by at least 12:15 pm? And is that for the whole day if we’re doing the eat-play-sleep routine ? Hi @Julia, yes the wake time would be the total amount of time she’s awake. So if she woke up at 10 am, the next time you’d want to try to get her to sleep is between 11:30 am and 12 pm. I know that can sound crazy and like you’ll hardly get any time with her, but those times will lengthen out eventually! Hope that helps! Hi. Just found this site and it is so helpful for this FTM. I am working on instituting the feed-wake-sleep routine with my 9 week old. But, she wants to nurse before each nap even if she got plenty to eat before wake time. Should I be working to stop this at this age and if so, how? She’ll fall alseep usually when nursing but rouse when I take her to her bassinet. She is usually pretty good about putting herself back to sleep once in the bassinet. Full disclosure – we have the Snoo that gently moves her while sleeping and plays white noise. Thanks! 4pm with wakings in between for feedings and diaper changes? Good luck and please contact us if you find that you need more assistance! Hi I have a 8 week old baby boy who is bottle fed. He will only sleep on me. I’ve tried swaddling and all the things I used with my first but nothing seems to work. He will sleep 4-5 hours at night but only on me. Looking for suggestion to break this. Hi @Katie – Thank you for writing, and congrats on baby #2! Sorry that your little guy is struggling with sleeping on his own! If things do not improve with the tips and suggestions in the free ebook, and you’d like more help, we also offer our Ebook, Essential Keys to Your Newborn’s Sleep, all about infants and sleep. It is available as a stand-alone option, or along with a Teleseminar and our Basic Email Consultation Package, where you will receive a Personalized Sleep Plan and one follow up email consultation. Please contact us if you have any questions, or if you need any assistance! Hi @Jane, congratulations on your new baby. I am so sorry to hear these first few months have been such a struggle. Here is a link to download a free guide with tips for new parents to help encourage sleep: https://www.babysleepsite.com/15-free-baby-sleep-facts-new-parents-must-know/ If you are at your witts end and need more help, let us know. We would love to work with you family even when your son is this young if you need the help. For more information on our personalized plans, you can visit our site here: https://www.babysleepsite.com/baby-toddler-sleep-consulting-services/ or feel free to contact us directly at contact@babysleepsite.com and we can offer more advise and links to resources from there. Hang in there! Hello, our baby girl is 8 weeks and ebf. We’ve been doing her last feeding in our room (usually falls between 9-10p) with the white noise on and then we swaddle her and put her down to sleep in her bassinet in our room. She sometimes falls right asleep, other times she’ll wake a few times but we’re usually able to get her to stay asleep within an hour. Then she’ll sleep for 6-7 hrs before she wants to nurse again, then usually another 3-4 hr stretch before her morning feed and after that she usually wants to sleep again for another 2-3 hours. Should we be trying to keep her awake after her first morning feed so we can put her down for a formal morning nap? Or we could move up her Nighttime routine to the next feeding before what we’ve been doing. Also during the day she mostly naps in her swing, should she be napping in her Nighttime bassinet or Packnplay in the other room? @Amanda – Thank you for reading and for sharing! It’s definitely something of a challenge figuring out sleep for a 2 month old since their sleep needs are still high and somewhat sporadic at times. The first nap/sleep of the day is frequently easier to come by as a baby’s drive to sleep is still relatively strong coming out of night sleep. Napping in the swing isn’t “Wrong” so long as you make sure she’s supervised as it’s not a firm, flat surface. One of our sleep consultants would be better able to answer your more specific questions as this is their specialty. Please consider connecting with one of our lovely ladies – you can read more about them here: http://www.babysleepsite.com/about Thank you, again, for reading!